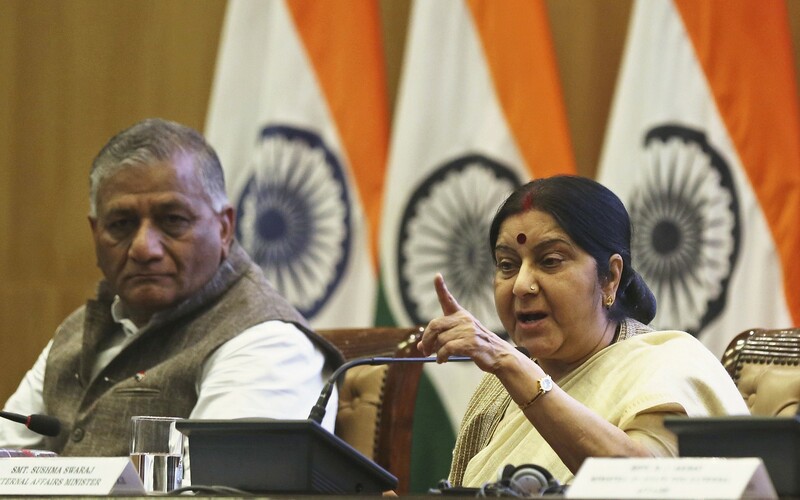 NEW DELHI, India — India will keep trading with Iran and Venezuela despite the threat of fallout from US sanctions against the two countries, Foreign Minister Sushma Swaraj said Monday. US President Donald Trump this month withdrew from the Iran nuclear deal and ordered the re-imposition of sanctions suspended under the 2015 accord. Both countries are key oil suppliers to India and the United States has warned that foreign companies that deal with Iran could themselves be punished. India’s close trading relationship with Iran has become a sticky issue for Israeli Prime Minister Benjamin Netanyahu, who has looked to expand ties with Delhi. “We cannot have any trade in cryptocurrency as it is banned by the Reserve Bank of India. We will see which medium we can use for trade,” she said. This entry was posted on May 29, 2018 at 6:26 PM and is filed under Uncategorized. You can subscribe via RSS 2.0 feed to this post's comments. You can skip to the end and leave a response. Pinging is currently not allowed.